Lovely gilded antique grape scissors with very intricate scrolled handles. 6 1/2" long, and in excellent condition. Antique scissors of Sheffield steel with bows which collapse to allow for insertion into an etui. 3 1/2" in length, Nice and tight with intact points. Very useable. Beautiful antique embroidery with sterling silver handles of intricate scrolling design. 4 1/2" in length, and 2 1/2" across the bow. Tight and sharp. Excellent condition. 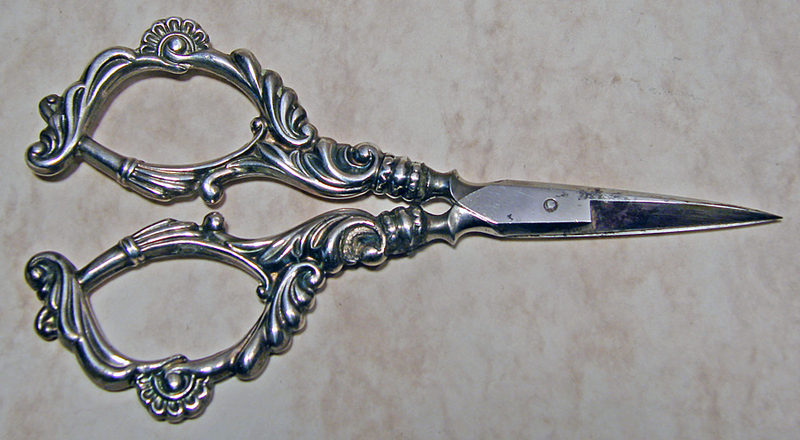 Antique sewing scissors with dulled steel blades and very pretty scrolling and floral motif handles of sterling silver. These scissors are of English origin, and are tight and strong. 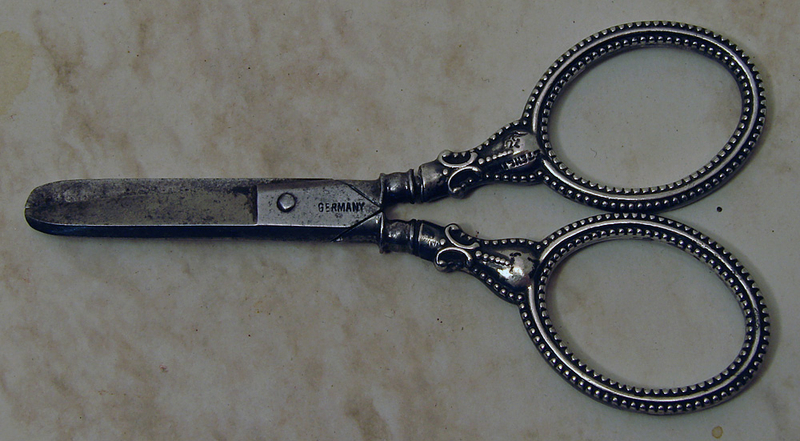 Diminutive antique scissors with blunted steel blades. Just 3 1/4" in length, this pair has sterling silver handles with a beaded edge and fancy stem. One loop slightly loose, but does not come off. Condition is very good+. With handles of sterling siver and blades of steel.